I have been acting since I was 4 or 5 years old, showing off at any opportunity (all actors are show offs, let them not tell you any differently) However I couldn’t start calling myself a professional until 1960, when I started earning my livelihood at it, with my first job as an ASM and understudy in the Lillian Hellman play TOYS IN THE ATTIC, directed by the talented, irascible John Dexter, who told me that the only reason he hired me, was because he could hear me, not true of my contemporaries, according to him. I am not planning to lay out my entire career and life here, I will do that over the life of this site and hope it keeps your interest. Suffice it to say, I have been quite successful as an actor, and able to support myself reasonably well along the way. I loved my career, love my career and will keep at it as long as I am physically and mentally able! Born in England of a German refugee father and an English mother, both artistic, both wonderful creative people. I have divided my life pretty equally between the US and the UK, having had or acquired family in both countries along the way. I have received a few awards, including a Golden Globe nomination for THE LION IN WINTER of which I was very proud. The Year that saw the start of newchillingtales.com and my first film, made in London in the UK. Partnered by old RADA pal Patricia Doyle, I embarked on this ambitious project, made with the Internet in mind. Our first film was "The Monkey's Paw" retitled BEWARE OF WHAT YOU WISH FOR. I lured in a great cast and crew and we shot in Patricia's house..."never again" were her words afterwards! But it went well and we had some terrific actors including Martin Jarvis and Malcolm Tierney. This was the year of Edgar Allan Poe's great story THE TELL-TALE HEART. I produced this one and adapted the story, with input from our Director Greg Green, an experienced features and commercial Director. Again we had great locations in Idaho and were able to have Darren Burrows in as the lead. Darren had a great success in NORTHERN EXPOSURE as Ed the Indian. We were lucky to get him. Great experience and first year of working with an Idaho crew, who were terrific. We were working in the tiny confines of a period Basque boarding house, one of Boise's historic landmarks..the crew were tested to the limit. Fortunately in addition to Greg, we had Lincoln Lewis a gifted DP, recommended to me, whom we flew in from LA. Acting and Producing this time in THE YELLOW WALLPAPER, number 3 in the series of films...a wonderful story by Charlotte Perkins Gilman about a woman slowly going mad in a room with horrible yellow wallpaper. Women's repression in the nineteenth century. This was again directed by Jesse Cordtz, who also produced some wonderful special effects for the story. It was the first time I had acted with Green Screen and found it an interesting experience, but would hate to do it all the time....how boring! With My Producer hat on, I made THE DAMNED THING, film four of my New Chilling Tales series of short horror films taken from the horror stories written by the great classic writers, mainly from the 19th Century. THE DAMNED THING is a wonderful, ahead of its time story, about what we humans can see or hear and the animals who can see more! We filmed in a remote area of Idaho called Burgdorf, with original miners cabins of the period...no running water no electricity! The location was quite challenging, but our Director Jesse Cordtz a very talented local Director was up to it. I did worry that we would burn down the State of Idaho with some of the massive lights we hauled in for night shooting. Apart from Tate McCullough a local good actor, we had George Hemmings, son of David and goodness did he look like his father. This year saw me working as an actor for hire...my favourite role. Producing is fine, but it means being rather bossy and controlling, which I don't like. Working as an actor for hire is a bit thin on the ground in Boise, Idaho and London and LA are a bit far away! A young Actor/Director/Writer asked me to appear in his new film ALMOSTING IT, which wonder of wonders was being made in Boise. I read the script and liked it and wanted to play one part, but he asked me to do another one (he cut my choice out), which was fine. Old working pal Lee Majors was in it and remembered me from THE SIX MILLION DOLLAR MAN and the jolly times we had clambering around rafters in a deserted Rockwell plant in the San Fernando Valley. I was re-united with the DP Lincoln Lewis, who shot our THE TELL-TALE HEART...I was happy, I knew I would look good. I did (do)! Having abandoned the idea of making another New Chilling Tale...for now. I felt the need to ACT. So I wrote and put together the short film COUGAR. I persuaded Will von Tagen (from ALMOSTING IT) to act in it with me and edit it and Lincoln Lewis, favourite DP from THE TELL-TALE HEART and ALMOSTING IT to photograph it and we made it on a shoe string. It works, I am proud of it. It's a sweet story, looks wonderful (thank you Lincoln and the Red camera) and Chandlers restaurant, where we shot. Now Producer Mike Tetro (another very useful talent) and I are busy submitting it to Festivals...the way through to be seen online mainstream. Spent time back in the UK largely at Comic Con and other personal appearance events. All good fun. The highlight being that of the 50th anniversary at Portmeirrion of THE PRISONER, the iconic show developed and produced by wonderful Patrick McGoohan, which has now taken on the life of a cult favourite. Patrick heads my list of favourite actors, together with Peter O'Toole, with whom I have worked. Heady days! The start of the 2018 opened with shooting a new short film, now in its final edit.....ABOUT ANDY a contemporary film about loneliness and a new age of technology. I starred again with excellent new young actor Austin Von Johnson. Again we had a terrific crew headed this time by Mike Tetro who produced and directed after doing such a great job producing COUGAR. Also I am told that a new distribution is planned of an old film I made with the great Edward Woodward in 1981: THE APPOINTMENT. This year saw me start to spend more time in Boise, Idaho. My son, Tom, born in LA moved here to live and work and he and his family live here. Guess why I spend so much time here? I appeared in THE COMEDY OF ERRORS at the wonderful Idaho Shakespeare Company, what a high standard of work. I had forgotten how hard it is to learn Shakespeare's lines, but I got there in the end! This year saw the continuation of my career in short films in a lovely movie called BEREAVEMENT. A Woman is being interviewed about the loss of her lover. She describes the loss and the film hits a real nerve for older women struggling with relationships in a modern world. I won an Award for this, as Best Actress in a short film at the End of the Pier Film Festival. This was the second of my introduction to another world of film, with the Director Carl Medland. The first was a short film BLINDED about a womans dysfunctional relationship with her blind son. This period in my life saw me running a family business, which was basically paying the bills for the entire family both sides of the Atlantic. So not really my choice, but someone had to do it! This was a multilingual employment agency, suppliying back office staff , who were fluent in more than one language. I cannot honestly say that I loved running a business, so far from my own, but it taught me a lot and certainly gave me the right business experience to be a Producer. My proudest moment was winning a contract which went on fopr over ten years to supply bilingual staff to CERN, The European Research Centre for Nuclear Particle Physics. What an experience, there were people working there, whose brilliance I can only imagine, Nobel Prize Winners among them. More about that later! Producer Hat on for the making of THE CATER STREET HANGMAN for ITV in the UK and A&E Networks in the US. I was Co-Executive Producer on this after taking the book by the same name by Anne Perry to HRH Prince Edward and his Company Ardent Productions. I wasn't in the Television film, but was heavily involved with producing it, when Prince Edward's partner got sick and Prince Edward and I were left with the responsibility of actually getting the project made. Edward, as I was asked to call him, generally supervised the documentary side of Ardent Productions, but he had to be very full hands on on this one and if I say it myself, we did a pretty good job. Keeley Hawes as Charlotte is in the picture. 1994-1995 I had been away from the UK for a long time and was lucky that a few people remembered me. I did an episode of LOVEJOY with old friend Ian McShane from National Youth Theatre days and later, when David Hemmings and I would double date with Ian and his first wife. Malcolm Tierney was also there, later to kindly appear in BEWARE OF WHAT YOU WISH FOR! I also did a series for the BBC: ACCUSED playing a rather straight faced magistrate as a regular..the series tanked..in other words the BBC did not like it! And I appeared as the Duchess of Richmond, she who had the famous ball on the eve of the Battle Of Waterloo, in the popular and excellent SHARPE. I also did personal appearances for some old shows at the PRISONER convention in Portmeirion and a few others. 1980-1990: My LA career continued...I was having serious fun. One of my most- liked people was Bill Bixby, from whom I learned about working in American television. I did THE INCREDIBLE HULK and THE MAGICIAN with him. LION IN WINTER was his favourite film. He was also a very good Director. Sadly Bill had some real tragedy in his life and died a few years later from cancer. I worked with nice Tom Selleck (lovely part in MAGNUM PI), other shows included THE GREATEST AMERICAN HERO, ST ELSEWHERE, AIRWOLF, SIX MILLION DOLLAR MAN (twice!) ...and MCGYVER, trotting out my Russian accent from my useful repertoire of "foreign accents". I liked working with Leonard Nimoy too very much in MISSION IMPOSSIBLE. Competition is fierce in Hollywood and the lure of real fame with a lot of money, means that the actors take their careers very seriously and it is as much a business for them as a profession. During this time I optioned a book ALONE AROUND THE WORLD, the story of Dame Naomi James' single handed sailing voyage around the world and commissioned the screenplay, which was written by David Seidler (later to win an Oscar for THE KING'S SPEECH and Jacqueline Feather. This was my first trial optioning a story, to try to get to the screen and although this one did not work out, it was an eye-opening and useful experience, leading to some good long term friendships. 1970- 1980 The good times continued to roll and I made a movie in Australia, a country I loved, starring with Beau Bridges called ADAMS WOMAN...sadly the studio didn't like it very much and ditched it and so I was introduced to that difficult town Hollywood, which loves and/or leaves you without turning a hair. Married now and living in LA, I found myself largely doing episodic television in LA. My TV work in Hollywood was fun and I enjoyed every minute. I was fortunate again to work with so many good and talented people. Leonard Nimoy was a favourite, I did MISSION IMPOSSIBLE with him and it was fun working with Lee Majors, with whom I caught up again in a movie in 2014. I did 2 episodes - one a two parter - of THE SIX MILLION DOLLAR MAN, guess they liked me. I loved making ALIAS SMITH AND JONES, my first Western, with real cowboys, riding a horse in the Mojave Desert. The only sad note to this was that sweet actor Pete Duell, shot himself, about a week after this. I was very shocked, this was a very different culture and industry from the one I had been used to. This year saw the start of my career proper...my first job was as an Assistant Stage Manager and understudy on the play TOYS IN THE ATTIC by Lilian Hellman, I also did my first film DONT BOTHER TO KNOCK, starring Richard Todd. I wasn't terribly good as a Stage Manager and remember having to cook some Southern style shrimps and rice for Ian Bannen to eat, which he pronounced unedible (every night)! But it was a wonderful experience working with John, Ian and three great actresses Wendy Hiller, Diana Wynyard and Coral Browne. 1965 -1968 My incredible run of good fortune continued and my career and my opportunities continued. It was during this time that I started doing many of the ITC television series: THE SAINT ...lovely, generous Roger Moore...(3 times), DANGER MAN aka SECRET AGENT (3 times)...Patrick McGoohan one of the most exciting actors, I worked with..also THE PRISONER. I made a film with legendary Christopher Lee and Peter Cushing THE NIGHT OF THE BIG HEAT aka ISLAND OF THE BURNING DAMNED, playing a very naughty girl, fun. I also did plays.... THE KINGS MARE by Anita Loos, starring so talented Glynis Johns and Keith Michell in London's West End and at the Hampstead Theatre Club, one of which I am very proud: COUNTRY DANCE by terrific writer James Kennaway with Edward Fox. This one led directly to me getting my screen test for my most high profile part Princess Alais in the film THE LION IN WINTER, starring Peter O"Toole and Katharine Hepburn, co-starring me, Anthony Hopkins and Timothy Dalton, both in their first films...I was honoured with a Golden Globe nomination for that. 1962- 1964 This is when things really got going and I did some of my best work and had some extraordinary parts, working with wonderful people. I cant list them all here, but a few stand out. I was in LORNA DOONE, playing Lorna, one of the happiest experiences of my career, with the lovely Bill Travers, who was worried about being too old to play John Ridd! There was A SUITABLE CASE FOR TREATMENT, by the excellent writer David Mercer...later to made into a film with Vanessa Redgrave. David also wrote THE BIRTH OF A PRIVATE MAN, a very socialist piece...I had long speeches which I did not really understand and had had to have them explained to me by Tony Garnett, who played my brother. 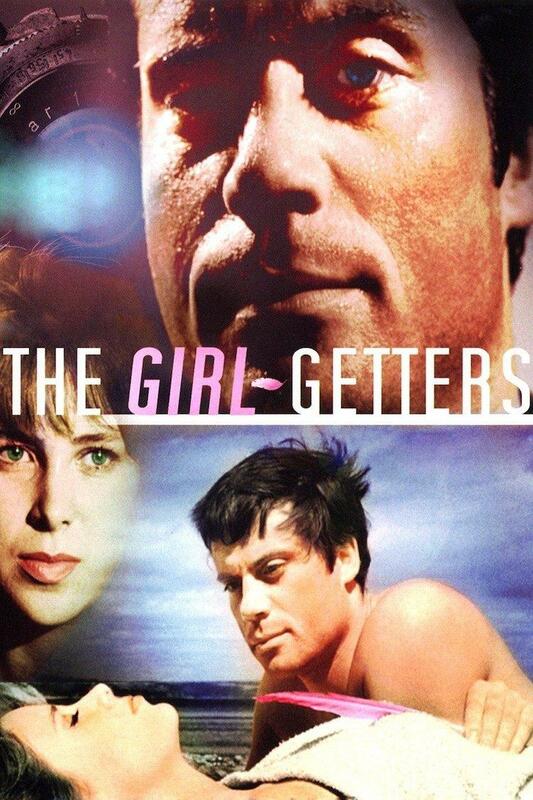 1963 was also the year I made THE SYSTEM aka THE GIRL GETTERS starring me and Oliver Reed, David Hemmings among a few others...our DP was the great Nic Roeg. I can't list everything here, but goodness they were extraordinary and amazing years for a young actress. I am proud of them.